Discussion in 'Pre-Orders, Soft Launches, and Upcoming iOS Games' started by bmotron, Nov 17, 2016. Hey this is a new game from us have fun checking it out. Please let me know what you guys think? I hope you have fun smashing cars and jumping on stuff! 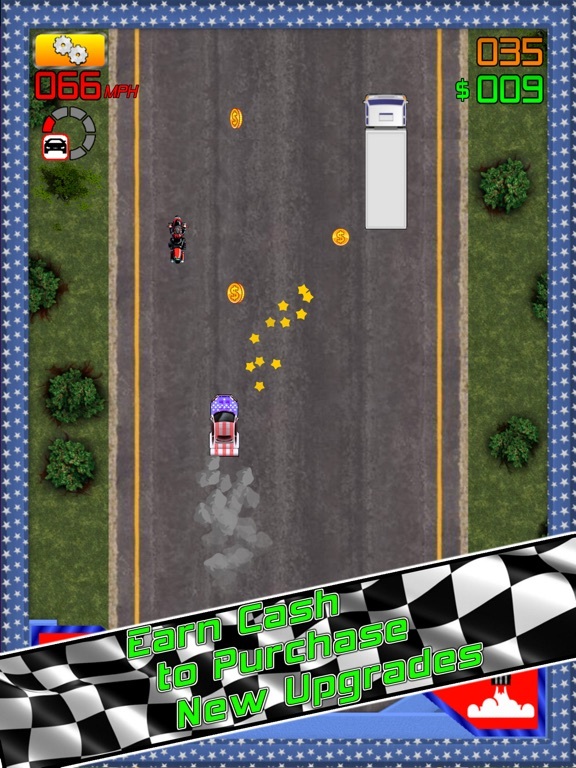 Rally Jump Racer is a nostalgic throw-back to Arcade Racing Fun. 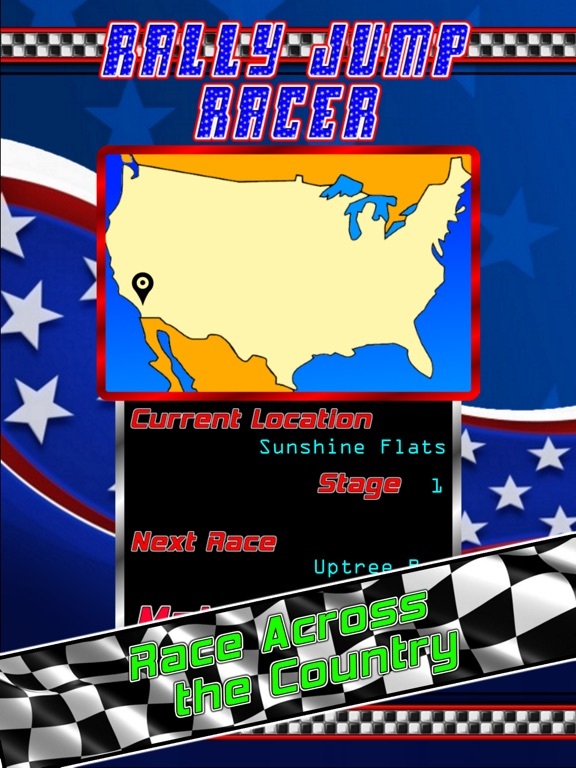 Race across the USA in the non-stop pulse-pounding Rally. 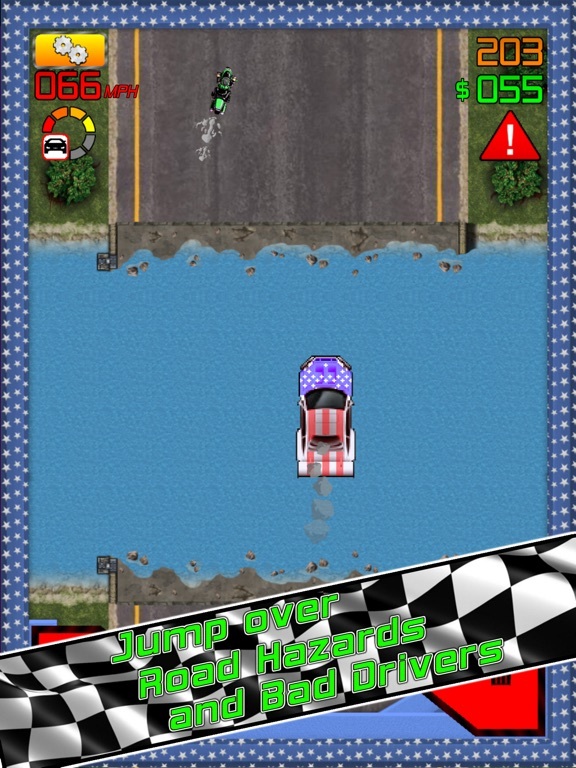 Jump over hazards and broken bridges and crash-land into unsuspecting traffic for big rewards. 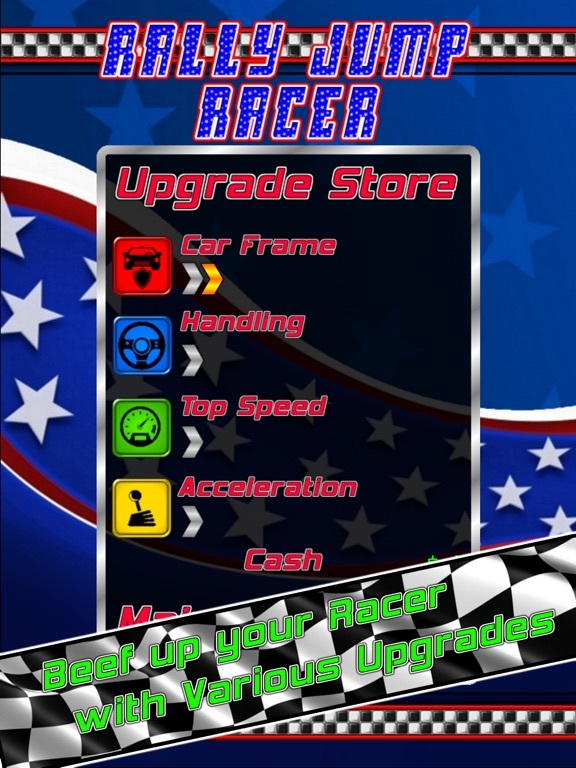 Visit the Upgrade Store and upgrade your car with over 30 different levels of enhancement. 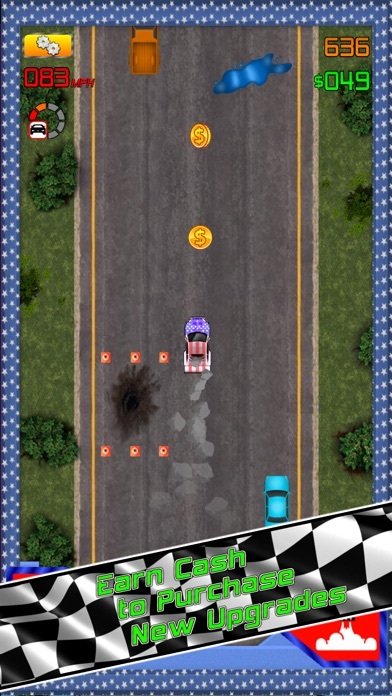 Rally Jump Racer is a nostalgic throw-back to Arcade Racing Fun. 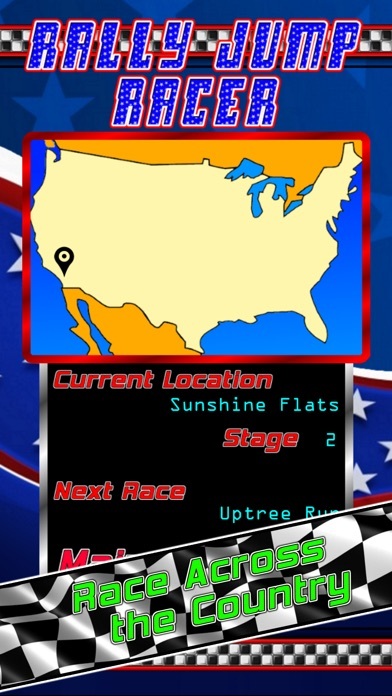 Race across the USA in the non-stop pulse-pounding Rally. 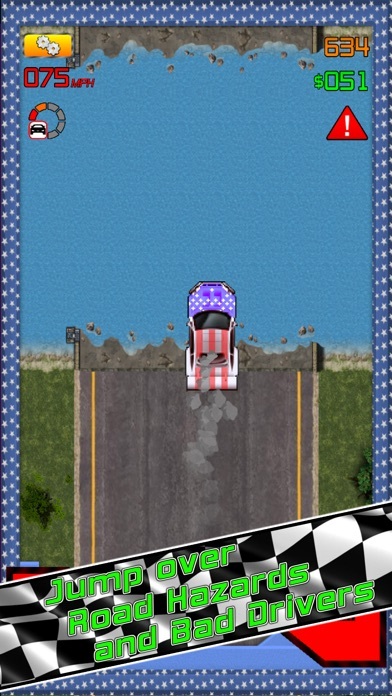 Jump over hazards and broken bridges and crash-land into unsuspecting traffic for big rewards. 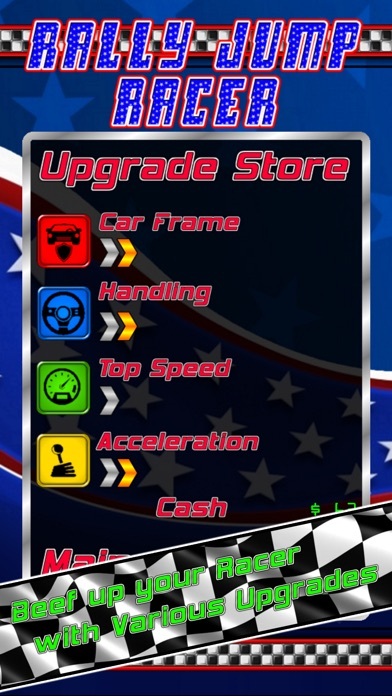 Visit the Upgrade Store and upgrade your car with over 30 different levels of enhancement. We are tweaking some settings but we have a live version up now!